Jesse Marco&apos;s music is made for summer. Earlier this year, he released "Superstar," which came about during a chill period but felt like a muggy backyard jam. He only has a handful of singles under his belt (for Big Beat and Glassnote), but he&apos;s made a huge impact over the last few years, with remixes for Two Door Cinema, Kings of Leon, Childish Gambino, Peter Bjorn & John, and The Knocks on his resume. He&apos;s aslo linked up with Stussy for special mixtapes, and has toured with Asher Roth, Kid Cudi, Pusha T and MGK. He&apos;s even been featured in the film Project X. For his Five Tracks, Jesse kept things more current, giving us some of his favorite sounds of the summer alongside info on a forthcoming single of his for Dim Mak. You get a great look from a DJ who knows which tracks to drop for the crowd while still giving people a bit of a swerve. 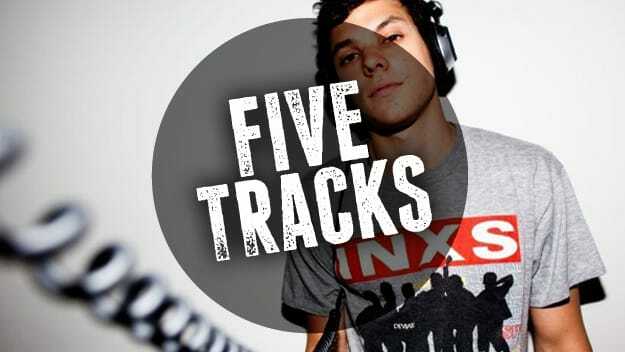 Check out Jesse&apos;s Five Tracks.